Virtually all businesses face some kind of data woes, report finds. 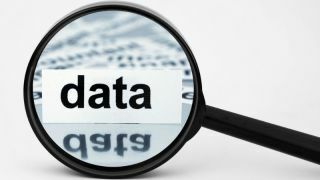 Decision makers and data managers across 15 countries are not satisfied with the way their organisations handle data management, new research has shown. Veritas Technologies surveyed 1,000 IT decision makers and data managers and came to the conclusion that the vast majority believe their organisation needs improvements in the fields of data compliance (84 per cent), data security (83 per cent), and data visibility (81 per cent). There’s also the need to improve data recoverability processes. Just 15 per cent believe their organisations are effective in this regard. Data does not flow seamlessly through an organisation, the majority feels (78 per cent). “The exponential growth of unstructured data has led to organisations storing information across a variety of different environments with, on average, more than half (51 per cent) of company data now stored in the cloud, compared to 39 per cent stored on premises,” said Jason Tooley, VP Northern Europe, Veritas. “But as data becomes more siloed and sprawled, it is tougher to see, manage, access and protect, creating significant challenges. The biggest roadblocks to a seamless data management experience are having too many tools, too many data sources, a lack of a centralised approach, and a lack of the right skills and technology. Costs keep going up, and poor backup and recoverability options are only adding salt to an already painful wound. Just eight per cent of IT decision makers said their organisations face no data management challenges.